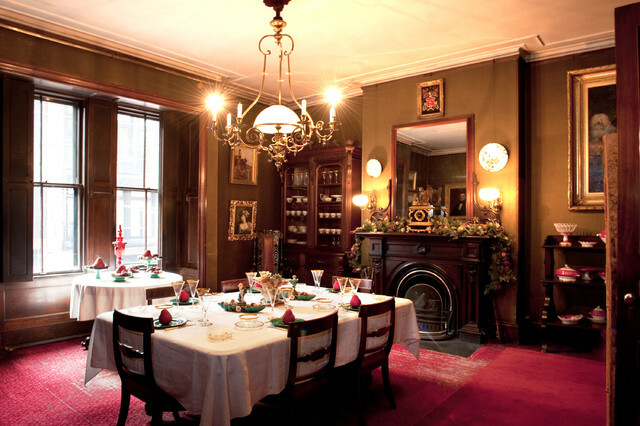 Completed in 1860, the Gibson House stands virtually untouched as a historic house museum in Back Bay. In 2001, the National Park Service designated Gibson House as a National Historic Landmark. A unique and unspoiled single-family residence, it retains its kitchen, scullery, butler’s pantry, and water closets, as well as formal rooms and private quarters. 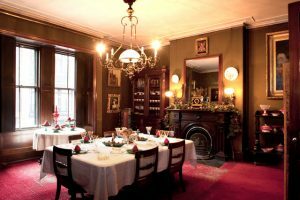 Designed in the Italian Renaissance style by noted Boston architect Edward Clarke Cabot, the house is built of brownstone and red brick. 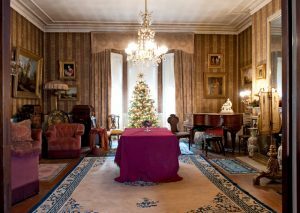 The interiors are filled with the Gibsons’ original furnishings – elegant wallpapers, imported carpets, an abundance of furniture, paintings, sculpture, photographs, silver, porcelain, curios, and other nineteenth-century family heirlooms. 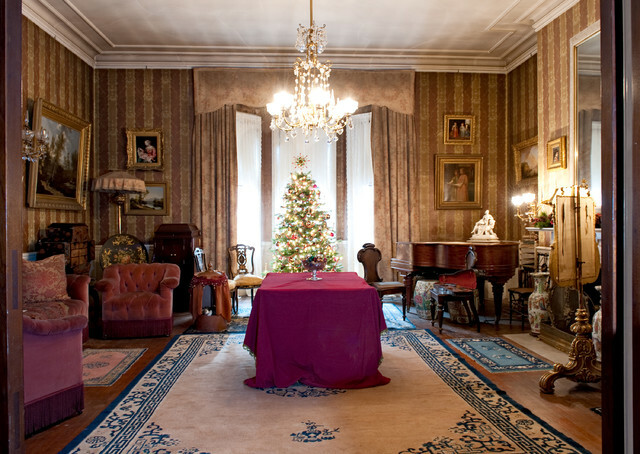 Visitors enjoy a glimpse into the lives of a well-to-do Boston family and its domestic staff. The Gibson family story begins with the pioneering move of the widow Catherine Hammond Gibson and her son, Charles Hammond Gibson, from the top of Beacon Hill to the just-developing flats of the Back Bay. 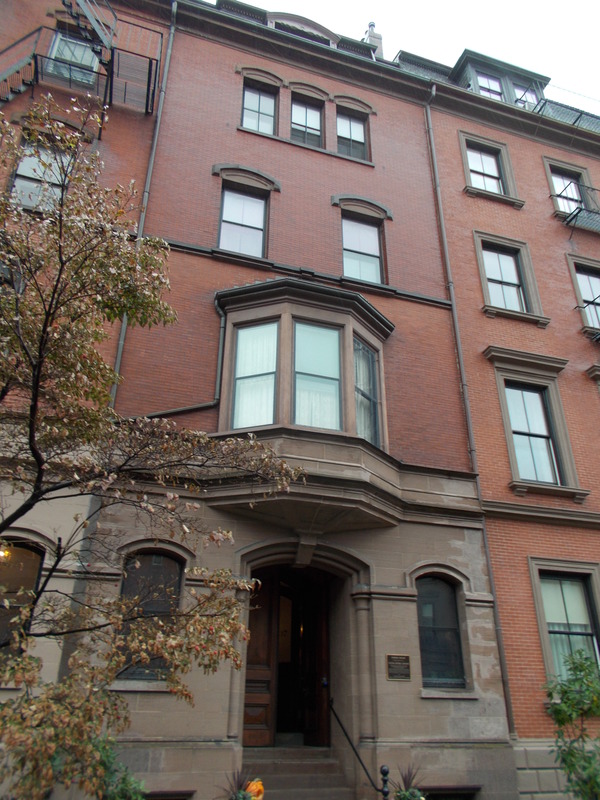 In the 1860s, Back Bay was in the early stages of transformation from a malodorous marsh to the most fashionable residential neighborhood in the city. The man-made land of the Back Bay was the largest public works project of its time. The Gibson House Museum exists because of the vision of Charles and Rosamond’s middle child, Charles Jr., a poet, travel writer, horticulturist, and colorful bon vivant. 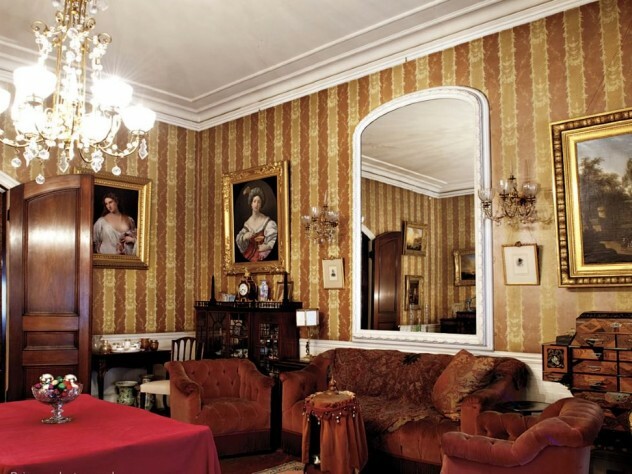 Charles was caught in a changing world, as families moved to the suburbs and left their townhouses to be converted into rooming houses, schools, and dormitories, As early as 1936, Charles Jr. decided to preserve his nineteenth-century townhouse as a museum. The furniture was roped off with gold cord, and guests were invited to sit on the stairs while sipping their tea or martinis (made from his own bathtub gin). 1:00 p.m., 2:00 p.m., 3:00 p.m.